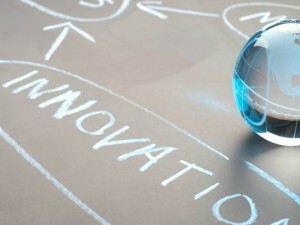 ‘Innovation’, the term alone has somewhat formed a place in the Australian vernacular in recent months. The buzzword skyrocketed into popularity when Prime Minister Malcolm Turnbull issued its National Innovation and Science Agenda last month, detailing plans to increase innovation, entrepreneurship and reward risk tasking. However, while endorsing start-ups and STEM is important, corporate Australia must not be left behind. Hence, how can companies in Australia make innovation more than just political jargon? To begin with, to transfer innovation into reality, business leaders need to invest in the skills, systems, processes and collaboration structures that will make it a national competency. According to BRW, Australian CEO’s are beginning to include innovation on their agenda, recognising the inherent link between innovation, higher performance and a global competitive advantage. Certainly, in Australia’s favour is an educated workforce, robust national balance sheet, quality institutions, use of IT and good physical infrastructure. However, to compete in a global market, companies must differentiate themselves by leveraging innovation, technology and human capital. Consequently, research and development (R&D) makes the prospect of being more innovative more accessible to companies and is one of the best tools to differentiate from competition. Investing in R&D is imperative if companies want to stay ahead of the technology curve and grow by developing new products, processes or software. R&D, aside from driving innovation in companies, can be an important driver of economic growth for businesses. For instance, R&D can create new knowledge which as a result can lead to new products, prototypes, different ways of working and cheaper ways of manufacturing. Hence, aside from expediting innovation, it can improve productivity and result in greater PR prospects and collaboration opportunities. Ultimately, R&D can transform innovation from just a buzzword into a viable tool for benefiting businesses. Moreover, an added benefit is of undertaking R&D is the federal government’s R&D tax incentive. 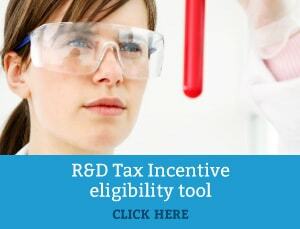 The R&D tax incentive is one of the most effective methods of support for research in Australia and provides companies with up to 45 cents back for every eligible dollar. The intention of the incentive is to boost innovation and improve businesses processes while providing generous tax benefits. Start-ups, large, small and medium sized companies can qualify for the incentive if they have eligible activities. To find out if you meet the requirements of the R&D tax incentive, have a chat to one our R&D tax specialists who will be able to answer any further questions you may have. With over 30 years of specialised R&D tax consulting experience, Swanson Reed assists a variety of companies across a range of different sectors.